A while ago I wrote a piece for VDA about Andy Stewart’s first short film, Dysmorphia (read it here). Since then it has gone on to receive astonishing recognition, winning award after award as it terrorized the horror festival circuit. 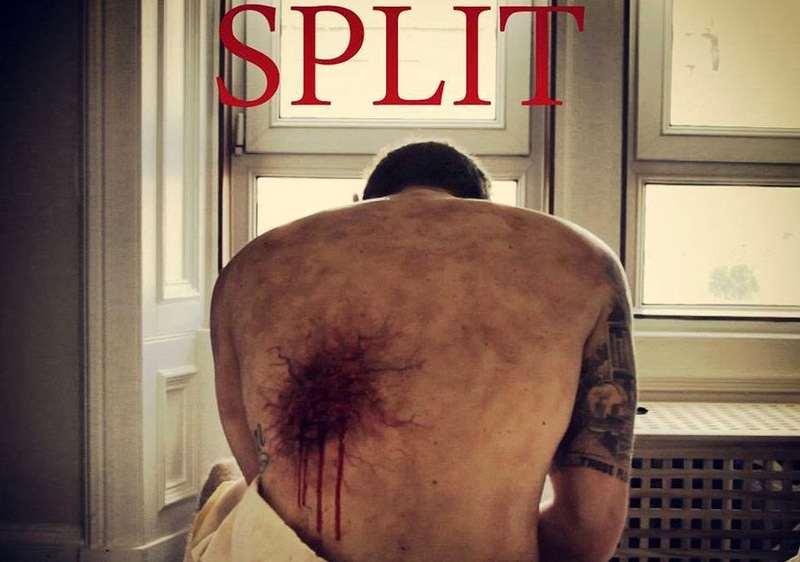 We knew back then that it was part of an intended body horror trilogy, so it was with great expectation - and some trepidation - that I viewed the second installment, Split. Split is a mature and complex analysis of one man's reaction to loss and guilt. It is a richly complex and metaphorically ambiguous pustule of a movie. Throughout the film, we witness the emotional and physical disintegration of a man grieving inconsolably over a lost relationship. Muscular and economic, it does not waste any of its short run time, utilizing well-balanced flashback sequences to achieve a beautifully conducive structure and flow. Where Split differs most significantly from Dysmorphia is in the fact that it reveals its hand almost completely rather than leaving things mostly to the imagination. Surprisingly, it is directly within this potentially-disastrous creative pitfall that Split unveils its greatest strengths. One particularly show-stopping gag will wow and disgust even the most desensitized viewers. Stewart had this to say: “Seeing the make-up gags I had written and storyboarded come to life [was rewarding], particularly that effect. It was the only thing I was ADAMANT about happening and it worked beautifully.” Although the effects dominate Split it is with obvious intention that they do so, not because other essential elements are lacking or other subtleties sacrificed. The acting from the two leads Shian Denovan (Sawney: Flesh of Man) and Austin Hayden (Devils Knight) is more than solid with Hayden carrying much of the film with an adeptly judged performance steeped in pathos. “Austin was in that chair for 7 hours for the final stage” revealed Andy Stewart. In terms of sound, composer Andrew Gordon Yule and soundman David McKeitch reprise their roles from Dysmorphia to great effect. Yule’s score is powerful and atmospheric whilst McKeitch’s sound design is again excellent. Crucially he manages to retain an element of subtlety to his work whilst accompanying the more grotesque proceedings with appropriate gusto. Meanwhile, the cinematography courtesy of Mark Boggis is suitably claustrophobic yet varied enough in composition to keep the principal location fresh. I am of the opinion that the film does not hinge upon the ending as much as Andy Stewart fears and it may actually work in the films favor by stimulating debate. To quantify this, it’s already very interesting to hear that, according to Andy, the reaction to the themes raised in the film differ in terms of gender perspective. Split is a quality example of both short format filmmaking and the body horror genre in general, and it reeks of passion and talent. It’s definitely a progression from Dysmorphia – a bigger project in both ambition and scope - but it does not forget the key ingredients that made it stand out in an increasingly crowded market place. I see no reason that it will not recreate the success of its predecessor and leave a huge bloody puss mark on the festival circuit this year. I for one look forward to following the slime-trail towards part 3. 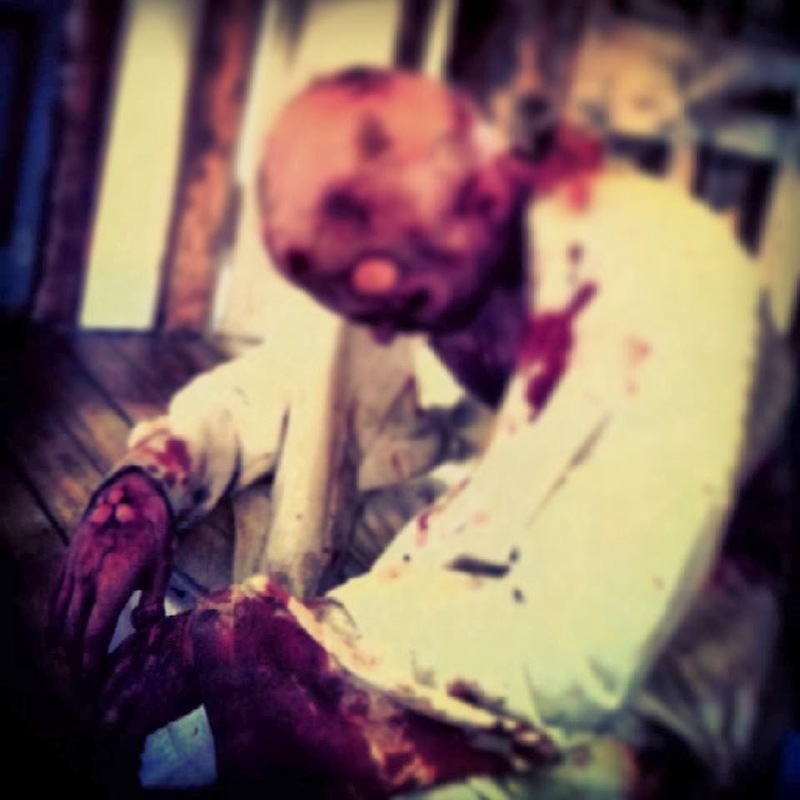 Split is in the Mascara & Popcorn's BODY HORROR CONTEST – April 19th 2014 in Montreal and will be submitted to festivals to “see if anyone bites.” You can follow the film on Facebook here. The reviewer thanks Andy Stewart for his kind and invaluable input and time.